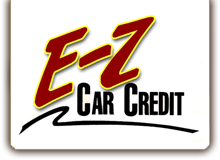 Find the vehicle that fits your budget when you work with E-Z Car Credit. Our used car dealer in Fort Wayne, Indiana, offers a great selection of cars as well as simple, hassle-free credit and payment options to get you off the lot and on the road in record time. Discover your next favorite vehicle. We offer cars, trucks, vans, and SUVs in various makes and models for every budget. There's no need to shop anywhere else. With reasonable weekly payment plans and low down payments, you can buy here and pay here.